So. It’s been a full week of recovery from my sister’s wedding. While we put together the rehearsal dinner ourselves, as well as the wedding cake, floral arrangements, and photo booth, there are only photographic catalogs of 4 of those things— as I sustained a really dumb injury on the night of the rehearsal dinner. As you will definitely see in some of these photos. It was seriously silly, I cut my thumb open while opening a bottle of tequila with a knife. Which I knew was dangerous at the time, but man, I wanted to get those margaritas made in time to enjoy with the guacamole…. 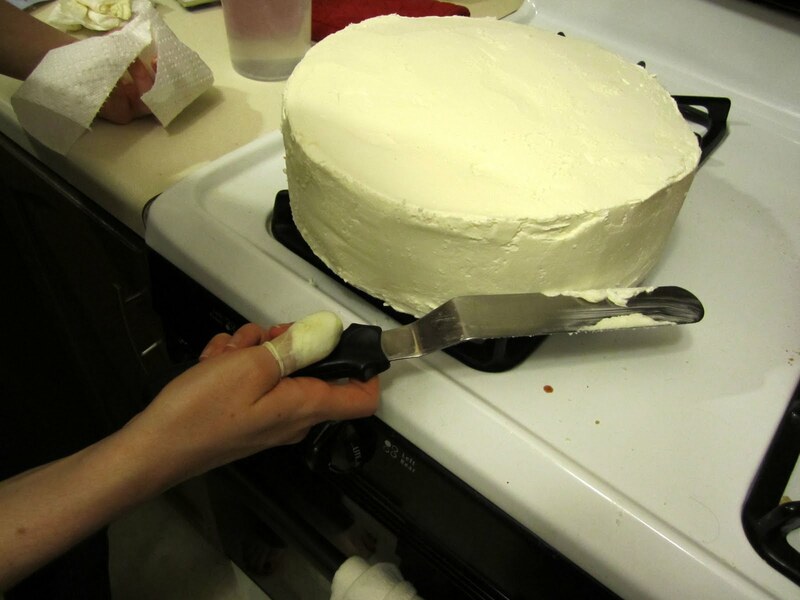 We just super-glued my wound together, chef-style, because there was a full night of cake-finishing to go. So, here’s the blow by blow. 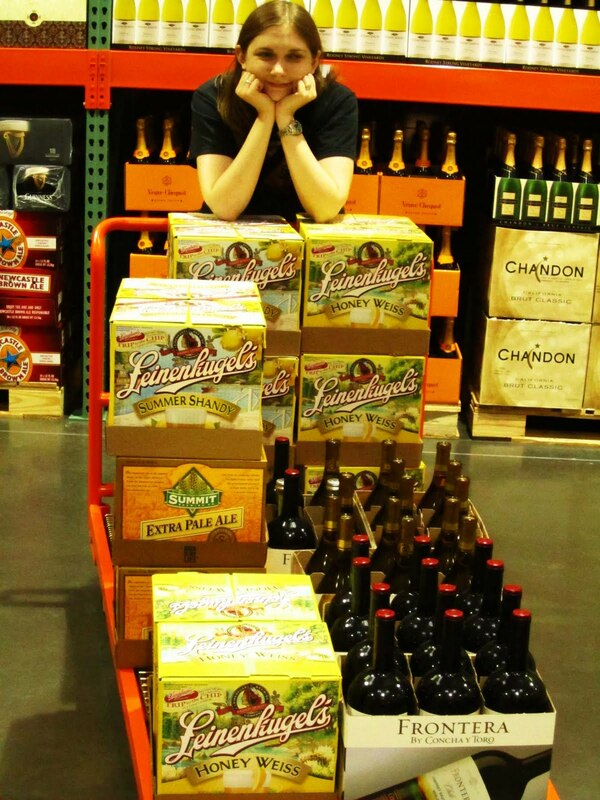 As soon as I landed on Wednesday night, we hit Costco to grab the beverages for the rehearsal dinner, the reception, and The Cake. Then we took stock of the bodies at our disposal, and separated them into Team Tux (responsible for getting everyone’s tuxes finished and fitted), and Team Cake (who had the unique distinction of being bossed around by me all day). I ended up with a seriously awesome team of my sisters Megh & Rebekah, along with my sister’s friends Piper, Zach, and Cat (whose amazingly well-stocked kitchen we cooked in). After all the testing documented on this blog, we had settled on the Margarita Cake (since they got the marriage license on Cinco de Mayo), strawberry curd filling, Italian Meringue buttercream frosting, and Marshmallow fondant decorations. It was a process. But it was such an amazing experience. There was a lot of love put into that cake. 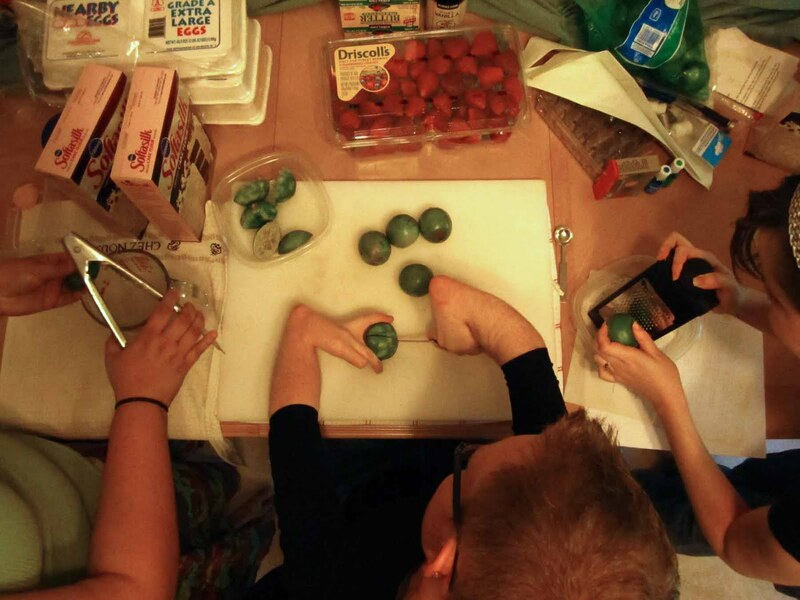 As demonstrated by the fact that Piper, Zach, and Rebekah assembly-lined the zesting and juicing of the limes. We doubled up as many tasks as we could. Like stirring multiple pots of strawberry curd. 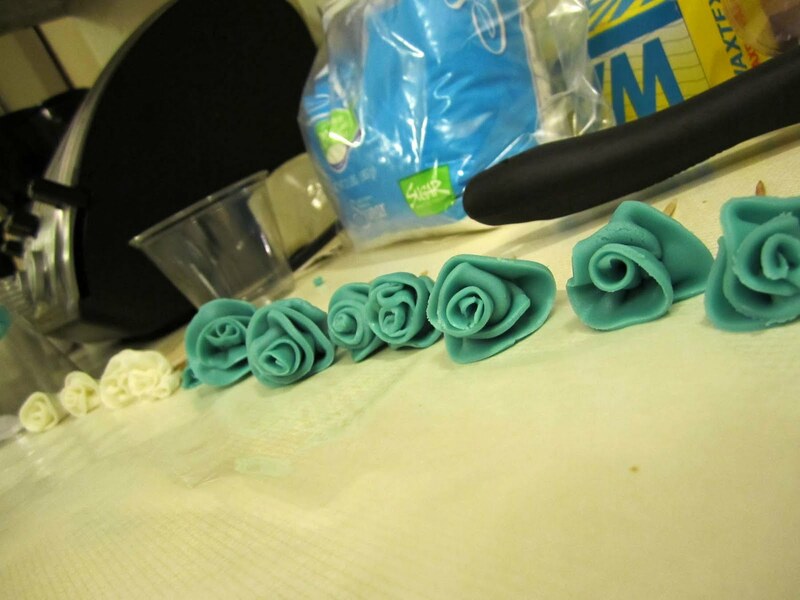 While the cakes were baking, we pulled together some marshmallow fondant, that we used later to create ribbons and roses for the cake decorations. I really liked that none of the roses looked the same, just like in nature. While some of us worked on the cake, there was also the candy-floral centerpieces to work on, and the photo-booth props to complete. 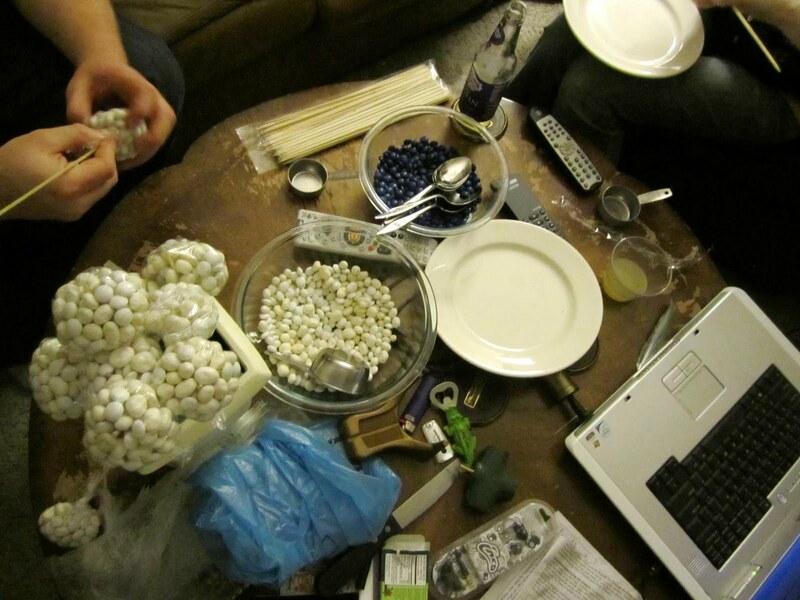 bowl of candy, glue gun, itunes on the laptop…. 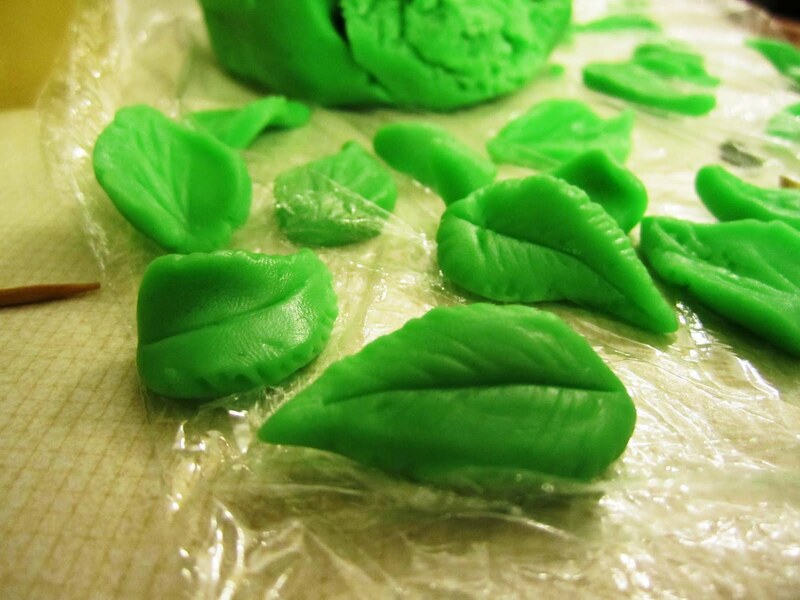 This photo is of the process of tying colored candies into little bundles, that will be wrapped together with flowers to create hydrangea-like candy centerpieces for the tables. These candy bundles also doubled as favors for the wedding. 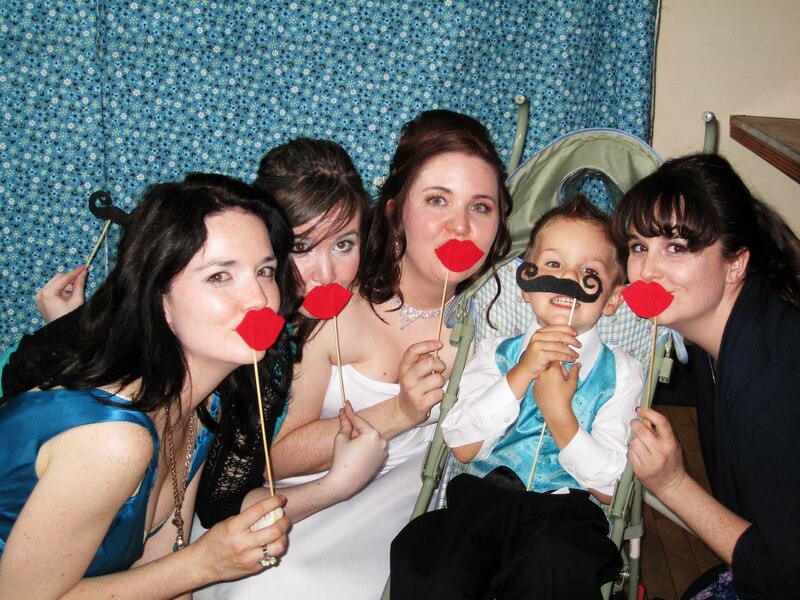 And the photobooth….it’s such a fun trend and so easy to do. 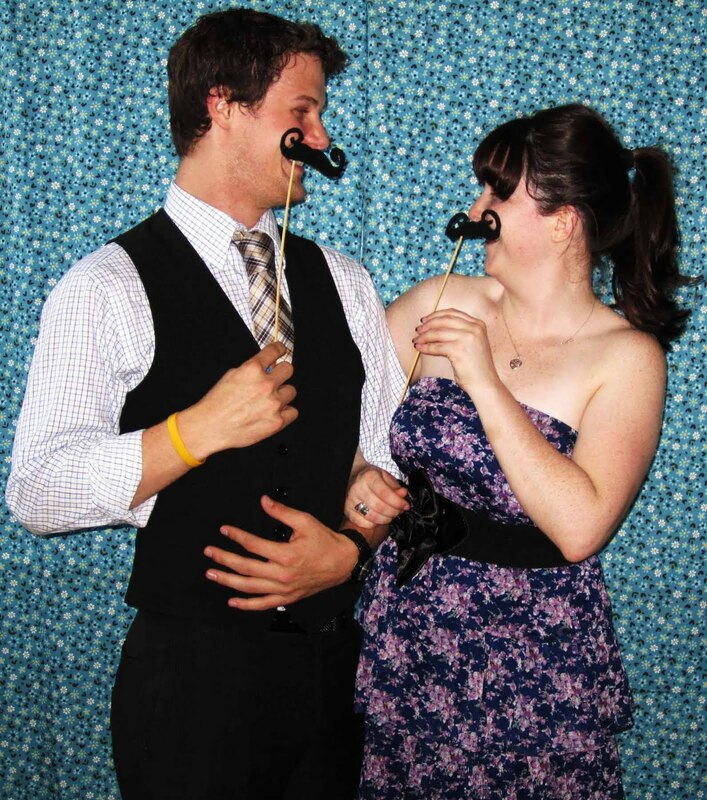 What I love is the way the guests actually interact with the props and create energetic, whimsical interactions, rather than a bunch of stiff photos with people holding glasses of champagne and trying to look cool. 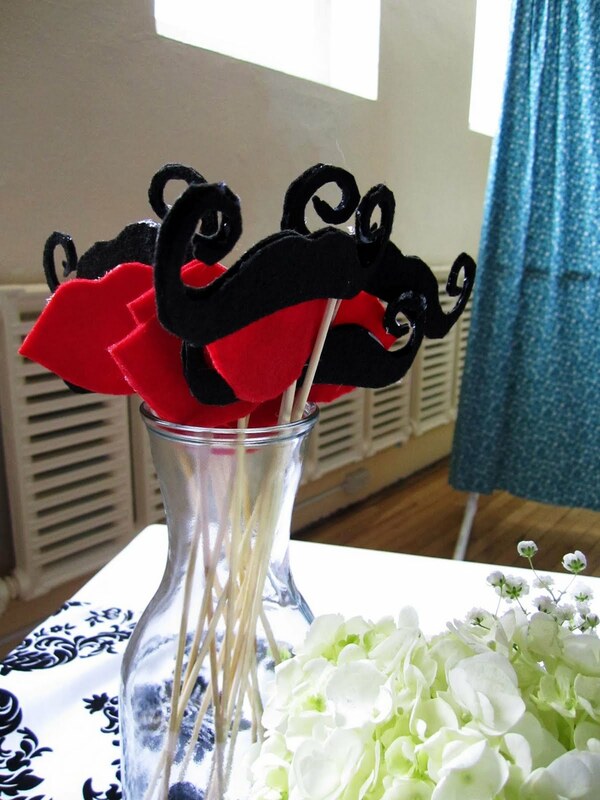 Jason was man enough to wrangle the hot glue gun and put together some mustaches and lipstick kisses. 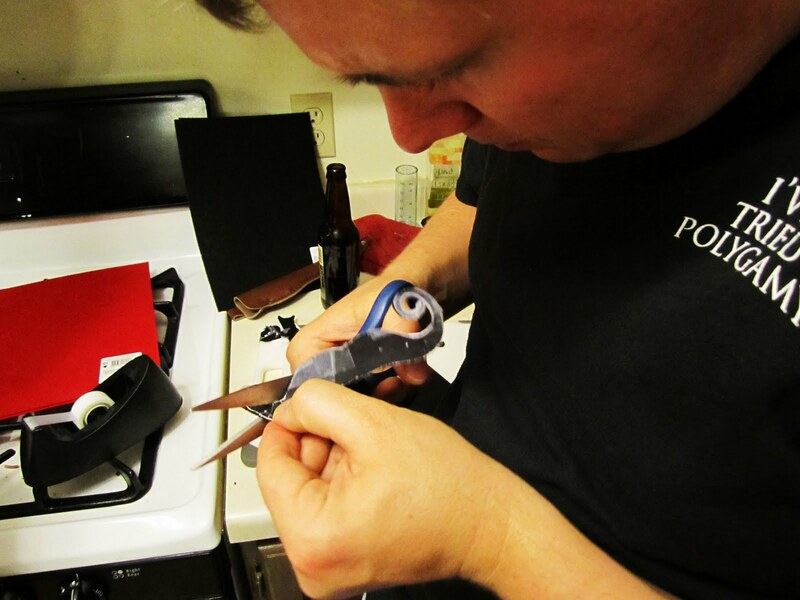 cutting out the ‘staches….. yes, his shirt does say “I’ve tried Polygamy”…. it’s a beer. 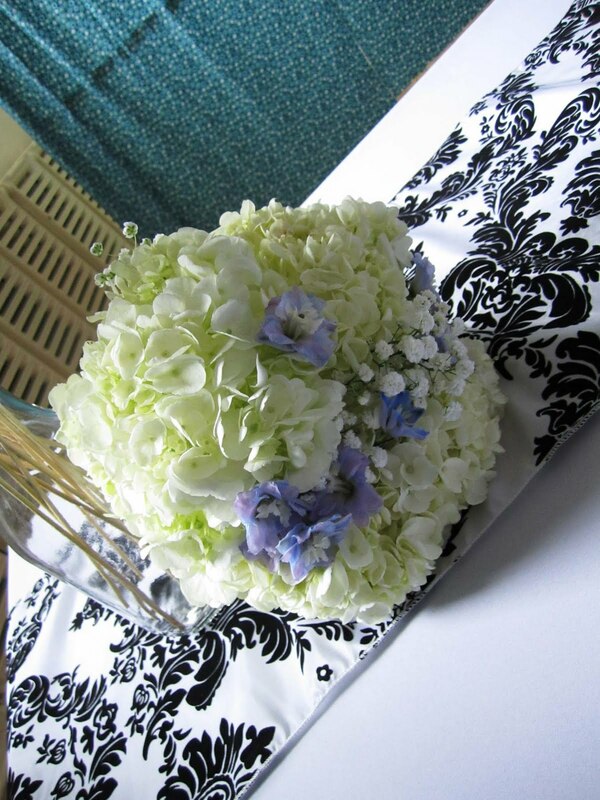 And the irreplaceable Piper made magic with the bouquets and centerpieces. 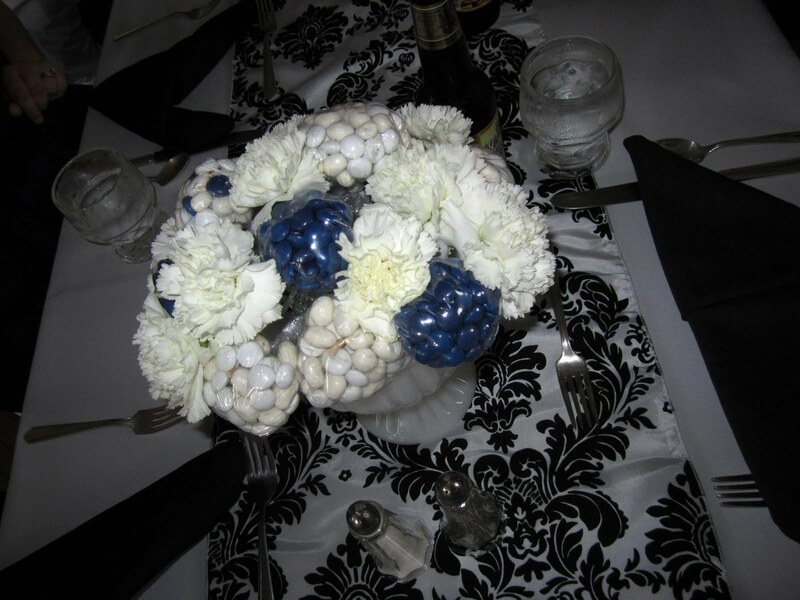 We really wanted to work some blue into the bridal bouquets. When the delphiniums looked like they might not make it, Piper suggested individually wiring the blooms to tuck them in to the puffs of hydrangea… and they turned out lovely. I loved that so many hands went into making this whole project come together. A giant thank you to my sister and sister-in-law’s friends; you all seriously are the best. 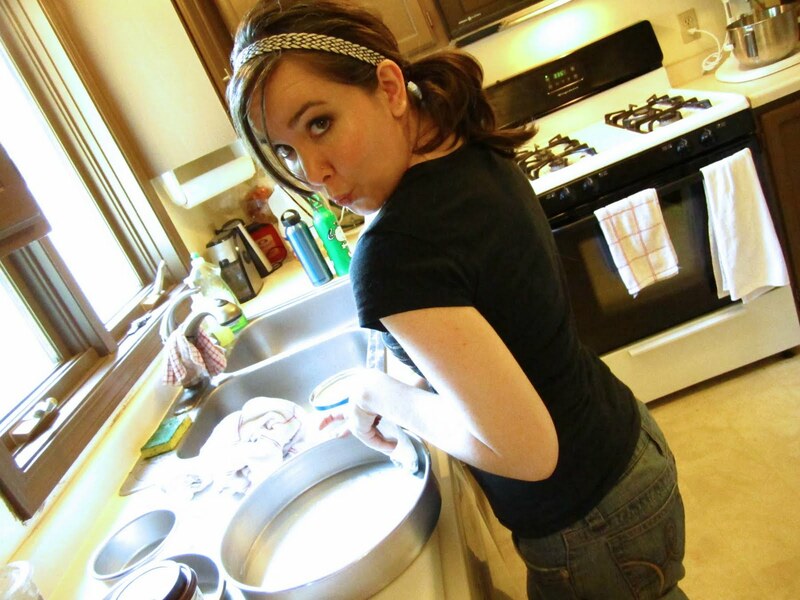 Your generosity of spirit, the way you welcomed all of us into your lives (& kitchens), and made sure that everything that needed to get done got done in time, whether it meant pulling an all-nighter, sharing your Costco account, or loaning your stand mixer– It made me eager to move back to the mid-west. >I love how involved everyone was! How cool! 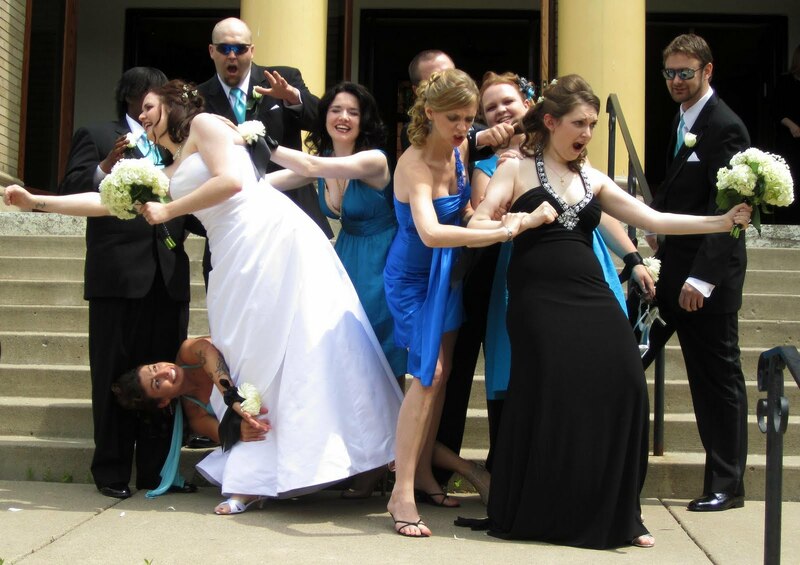 What a nice contrast to overly-planned, homogenous $100,000 weddings. 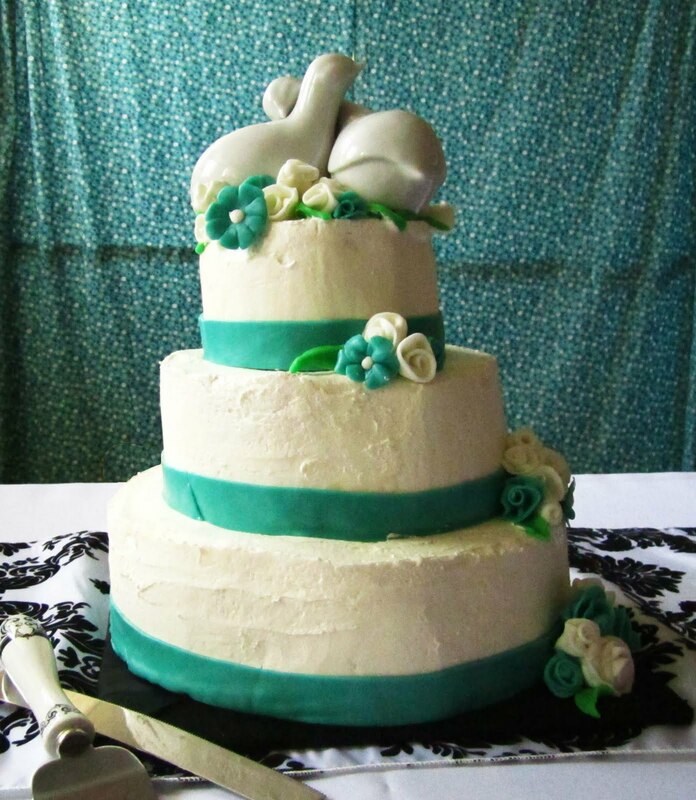 AND, the cake looks amazing and sounds delicious.P.S. I hope your thumb is healing up nicely. Ouch! >Epic.Reading the re-cap wears me out all over again!But I wouldn't have traded a minute of it for anything. >Mary is the best. Love the blog, love this post. Keep it up!